Allow the tube to fill until blood/fluid flow ceases. Note: Some tubes are not intended to fill completely. This is a partial draw tube (2mL) and will only fill to the black mark on the tube. 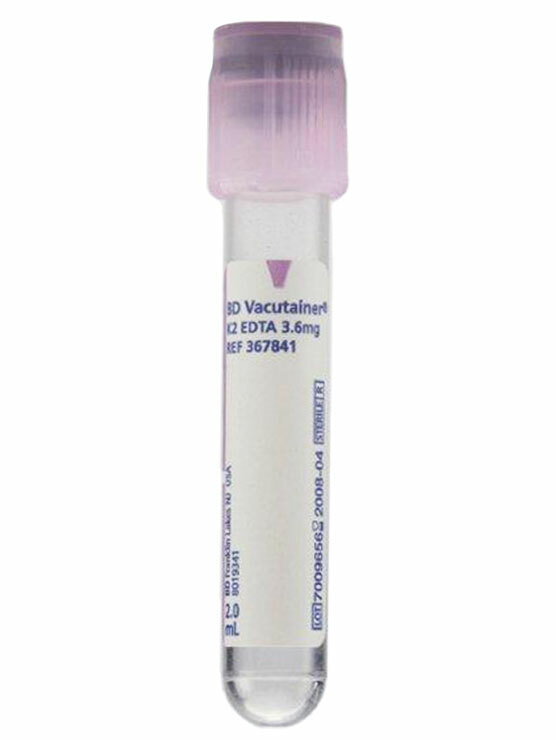 Immediately after drawing, gently invert the tube 8-10 times to activate the anticoagulant and prevent clotting.